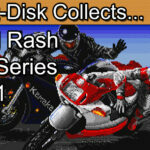 Insert Disk collects EA Hockey / NHL Hockey for the Sega Mega Drive / Sega Genesis. 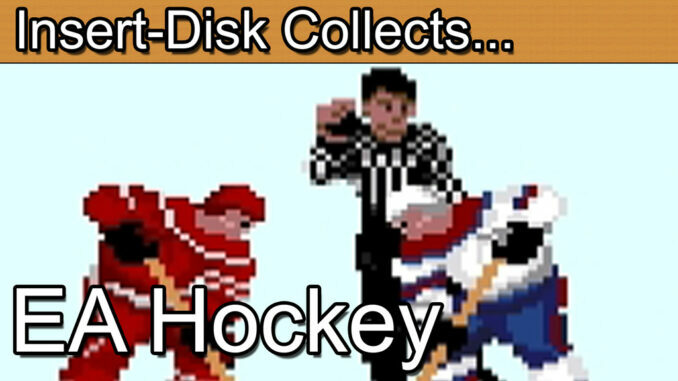 Today’s retro game review is EA Hockey / NHL Hockey for the Sega Mega Drive / Sega Genesis. This retro gaming classic by EA sports represented a real breakthrough in representing the game of ice hockey on a 16-bit console. EA Hockey features a decent roster of countries and delivers where it matters most in the game play. EA Hockey has aged reasonably well for a sports game. It’s still fast and fun to play even today. Greetings collectors and welcome to today’s retro game review. Today we’re talking sports, in particular hockey and there’s no better place to start than EA Hockey for the Sega Mega Drive and Genesis. Also known as NHL Hockey in North America. First of all I have to clear up the term Hockey for my UK audience. Here in Europe we call Hockey played on Ice, “Ice Hockey”. If you usually ask a Brit about Hockey they assume that you are talking about “Field Hockey”. For the purposes of this episode I will be referring to Ice Hockey as Hockey. North America you win this round. Here in the UK Hockey isn’t really a big deal. The sports pecking order of importance goes something like this, Football (that soccer for the US audience), various athletics, Rugby, Tennis, Cricket, Cycling, Domino’s, Cow Tipping and explaining to lost tourists how to get to Buckingham Place. Most Brits won’t even be aware of the Great Britain teams Hockey ranking or even that we have citizens that can stand up on ice. When I was a bit younger though I discovered the wonderful world of hockey through EA Hockey on the Sega Mega Drive. I had the double header with Madden Football (which is in no way football thank you very much). There was something in the game of hockey that connected with me. The swirling players, the ice-rink, the relative simplicity of the game. EA hockey quickly became one of my favourite sports games of all time. So let’s take a look at the game. Firstly, the setup is a little awkward. Select from a regular season or a play-off is simple enough. 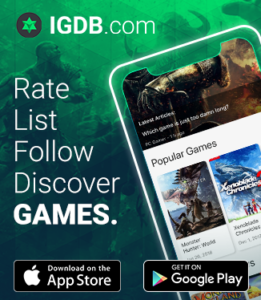 Scrolling through teams to select one that is a little clunky. It’s not particularly user friendly but only a minor complaint. Scrolling through the team list though is rather enlightening. It reminds us how much has changed since 1991. Yugoslavia, yep that’s gone. Oh and this looks like a great match up Czechoslovakia vs. the Soviet Union, that’s just all kinds of wrong. Needless to say though that the tournament sets itself up with a decent tree structure. Oh look, Great Britain vs. the USA. You can customise the period lengths, penalties and off-side rules. For a novice to the sport this was a great introduction. The action in EA hockey is fast and frantic. You have a basic move set of passes and shots to attack the opponent’s goal. For what is essentially a very physical sport it does seem to translate well to a home console version. The audio department also seems to enhance the experience. Shots have a decent slapping sound and collisions with the glass feel full of impact. The roar of the crowd also mirrors the feel of an open arena. Of course a hockey match wouldn’t be a hockey match without the fights. Hit your opponent hard enough and there’s a good chance that a fight may ensue. Weave backwards and forwards and throw either a low or high punch to down your opponent as your team mates gather round and encourage the beatings. EA hockey teaches us that Americans can take quite a few punches to the face. So with the mighty US falling to Great Britain it’s on to the next round of the play-offs. Oh good, Canada. Well at least they go down in one punch. In the UK you can pick up EA hockey in a standard Sega Mega Drive case complete with manual and cartridge with relative ease. The artwork is somewhat generic but it gets the job done. So, EA hockey, is it worth collecting? 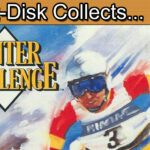 The Sega Mega Drive / Genesis did have a slew of sports games from EA. Each year the games were revised and refined making them abundant and ultimately very cheap to collect. This original EA hockey release is still more than playable but the series did arguably offer better entries in later years. Personally as a Sega collector and being someone that enjoys the game it’s an easy decision to collect this title and indeed the rest of series. 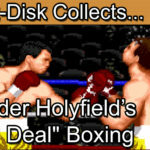 For the casual retro gamer though you may want to pass on this one if sports games aren’t really your thing. As always though, if you are at all curious about this game, for the price it’s definitely worth a second look.